Find out the latest on the walk, meet others doing the walk now - visit and join the new Isle of Wight Coast Path Facebook group. 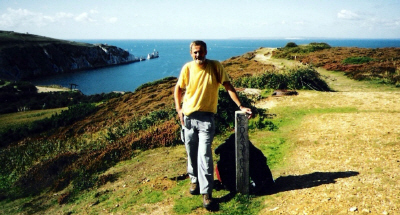 If you like long distance walks and especially coastal walks with superb scenery then consider the Isle of Wight coastal path. It's simple to get there, takes 4 - 6 days of easy walking and returns you to the start without retracing your steps! Read on, see my photographs and then try the Isle of Wight walk yourself. Then join the new Facebook Group!